Is a natural digestive stimulant recommended for the management of common digestive disorders such as indigestion. Stimulates digestive enzymes, increases bile secretion, and helps the digestion and assimilation of food. Balances and tones the entire digestive system from the stomach to the lower intestines which is key to overall digestive wellness and reduced sensitivity for gaseous distension. Promotes the assimilation of nutrients by increasing digestive strength and vitality. Perfect for those who eat on the run, chew too fast, eat under stressful conditions, or otherwise need to support the body's normal response to occasional digestive discomfort. For flatulence and belching: 2 tablets after meals. 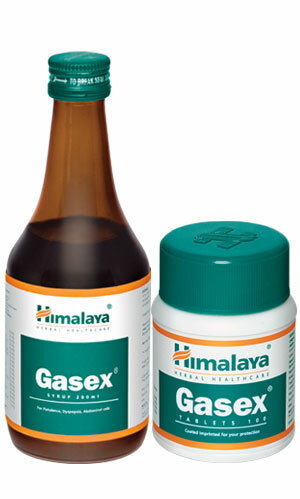 Gasex: 2 tablets three times daily. Herbolax: 2 capsules/tablets at bedtime.